I Was, Uhm, on TV — ALYN & A.J. Well this was a first for me. 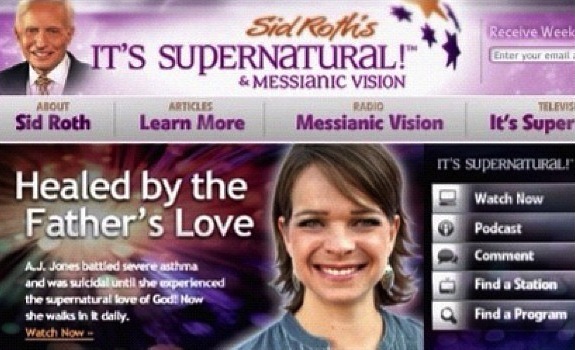 Earlier this year I flew out to Charlotte, NC to spend a few days filming for Sid Roth's TV show It's Supernatural which airs to a staggeringly huge audience. I've only done one other TV show but that was with Patricia King whom I've known for nearly 19 years. This was a completely different situation. I had fun, Sid is lovely and despite the fact that some of the re-enactments make me squirm and I HAD TO SING LIVE ON THE AIR EVEN THOUGH I COULDN'T HEAR MYSELF OR REMEMBER THE WORDS, I think they've done a great job talking about what God's done in my life. You can watch the video here.